The latest news regarding the architect Philip Johnson, including Fujiko Nakaya's installation that hid his Glass House in vaporous fog. The Glass House was an opportunity for Philip Johnson to establish himself as a professional architect. The result was a stunning glass-walled structure of meticulous proportions and details. 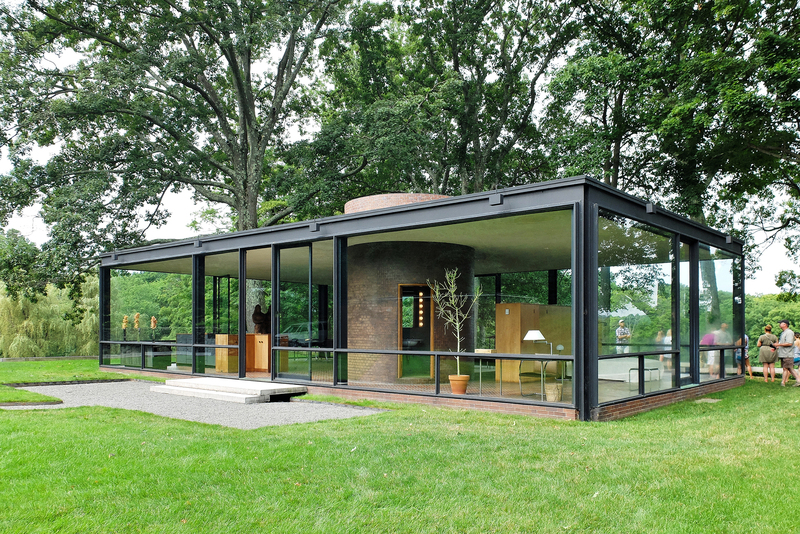 The new Glass House guide-book, with a foreword by Paul Goldberger and essay by Philip Johnson, presents an exclusive tour of the Glass House, its grounds, treasures, and patrons, and honors the legacy of one of modern architecture’s most famous creations. This book serves as a virtual visit to the modern masterpiece and its grounds.